Saving money on a new Hyundai in Montana is simple. The first step is to research the Car model of interest and identify any other vehicle of interest. You’ll receive Car price quotes from Montana Car dealers. Simply compare prices to find the best Car prices in Montana. 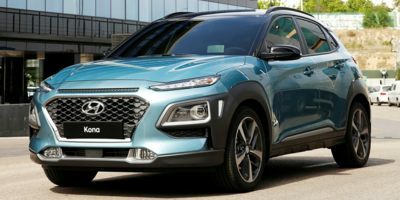 The Hyundai Kona is powered by one of two different 4-cylinder engines. The base 4-cylinder engine displaces 2.0L and sends power to the front wheels via a 6-speed automatic transmission. Making 147 horsepower, this engine gives the Kona enough grunt to feel nippy, while also returning up to 33 mpg on the highway. Higher trim levels of the Kona come with a more powerful, but smaller engine, displacing 1.6L. The smaller engine makes 175 horsepower with the help of a turbocharger. Power is again sent to the front wheels, this time via a 7-speed dual-clutch transmission. The Kona isn't trying to conquer the roughest terrain in the world, but it does offer decent ground clearance and anyone who wants all-wheel drive can have it with either drivetrain choice for an additional $1,300. The Kona comes in one of five different trim levels, starting with the SE. 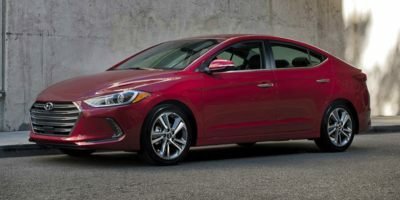 Hyundai has a lot of experience building smaller, less expensive cars that still feel pretty nice and part of their secret is having lots of features for the money. The SE is no exception and standard equipment includes a 7-inch LCD touchscreen with Android Auto and Apple CarPlay capabilities, a rearview monitor camera with dynamic parking lines displayed on it, a tilt and telescoping steering wheel with audio and Bluetooth controls built in, LED daytime running lights, alloy wheels, remote keyless access, automatic headlights, power door locks and windows and a 3.5-inch multifunction display. The Kona SEL adds bigger 17-inch alloy wheels, a blind spot warning system that includes rear cross-traffic alert, heated front seats, a push button starter with a proximity key, SiriusXM satellite radio, heated side mirrors, a leather wrapped steering wheel and shift knob, automatic windows and an illuminated vanity mirror. The Limited trim comes standard with the bigger engine and nicer transmission. It also gets bigger 18-inch alloy wheels, full LED headlights and taillights, front fog lights, leather seats, automatic temperature control, an auto-dimming rearview mirror and some exterior brightwork around the grille. The Ultimate trim sits at the top of the Kona line. The Ultimate trim comes equipped with a head-up display, a forward collision avoidance assist system, a lane keep assist system, an 8-inch LCD touchscreen with navigation, a high beam assist system, rain sensing wipers, an automatic garage door opener, parking sensors, an Infinity sound system with 8 speakers and a subwoofer, a bigger 4.2-inch multifunction display, wireless device charging and three years of Hyundai's Blue Link connected car services program. 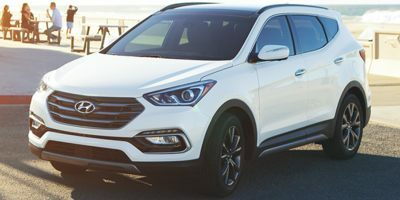 The Ultimate trim still starts well below $30,000 at just $27,400 and includes so many features as standard that Hyundai doesn't even need to offer any optional equipment packages for the trim. Compare Montana Hyundai prices. 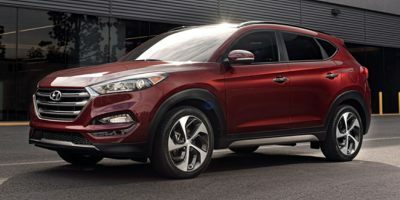 Get free price quotes for any Hyundai in Montana. See the invoice price, MSRP price, and clearance prices for all vehicles. Save big when Montana Hyundai dealerships compete on price. Compare Hyundai prices, pictures, reviews, local rebates and incentives, and more. View all used vehicles for sale in Montana. Compare used Hyundai vehicles and get the best deal in Montana. See prices, pictures, vehicle specs and everything you need to get the best deal on a used Hyundai. Bad credit auto loans and good credit auto loans for a new or used Hyundai in Montana. Compare current auto financing rates and get approved before you go to the dealership. We can get financing for nearly all new or used Hyundai buyers in Montana. Get a free auto loan quote today. Compare auto insurance rates from top lenders. Get the lowest monthly payment on a new or used Hyundai in Montana. With free Hyundai insurance quotes, you can save money regardless of driving history.